Mayor de Blasio said that he will take action after the I-Team found zombie scaffolding still standing at public housing buildings when no work is being done. Andrew Siff reports. 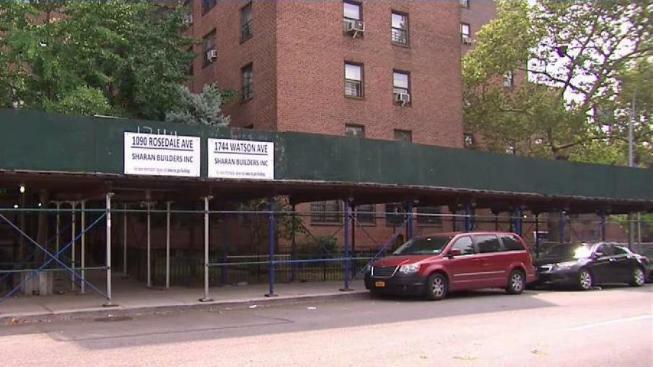 Mayor de Blasio is vowing to take more action on sidewalk scaffolding at NYCHA buildings after the News 4 New York I-Team raised questions about complexes where construction work is not happening. “That's unacceptable to me. I’m going to have a meeting very quickly with the leadership of NYCHA to make clear that it's unacceptable and has to be acted on immediately," he said. Answering a longtime complaint from residents, de Blasio pushed NYCHA in 2014 to remove miles of zombie scaffolding, saying it should only be up for repair work. But the I-Team found seven buildings across the city where there was not the case and residents have been demanding answers. Some 'zombie scaffolding' are staying up around buildings across the city for nearly a decade, creating eyesores for neighbors. As Andrew Siff reports, many landlords do it for cost-effective purposes. Watch Part 1 of the zombie scaffolding report here. “I think it’s more dangerous than frustrating. If you come home late at night you don’t know who’s hiding under these things,” said Giselle Melendez, a resident of the Sotomayor Houses in the Bronx. “As soon as something is found to be unsafe, scaffolding has to go up,” said Deborah Goddard, NYCHA’s vice president of capital projects, explaining the installation for safety purposes is required by law. Documents provided by the city to the I-Team showed that’s the case at the seven buildings in question – but some construction work may not be done for years. NYCHA says it’s working with the city, which has made a stepped up commitment to NYCHA repairs, to complete the work more quickly. “The mayor is now funding us for brickwork so we are able to be affirmative about getting that work done faster,” Goddard said. In an effort to be transparent with residents, the public housing authority also says it has put up signs with information about construction and time frames for when the scaffolding will go down. Scaffolding covers buildings, protects sidewalks -- and it's often an eyesore. In some cases, they have a serious effect on nearby businesses. Andrew Siff reports.